Electronic counter permits to monitor precisely the positioning and movement velocity of oil-well instruments comprising the equipment for checking the oil-wells or similar systems. 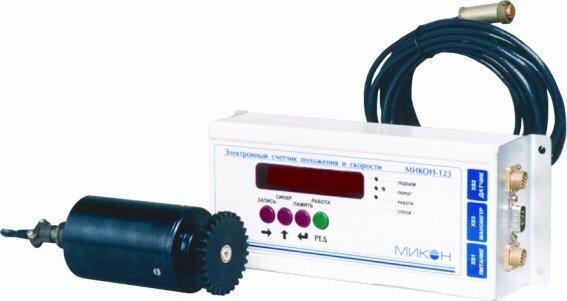 used jointly with the oil-well pressure gauge MIKON-107 it ensures obtaining the pressure and temperature-to-depth ratios. This unit may be modified for specific applications and integrated into existing systems under customer's order.